Finally finally finally I something about my trip to share! I thought I was going to have time to go through all the video footage I took over the weekend, but we ended up having a few things come up that needed our attention, and then it was Dave’s birthday. Basically time = non-existent. You know how it goes. 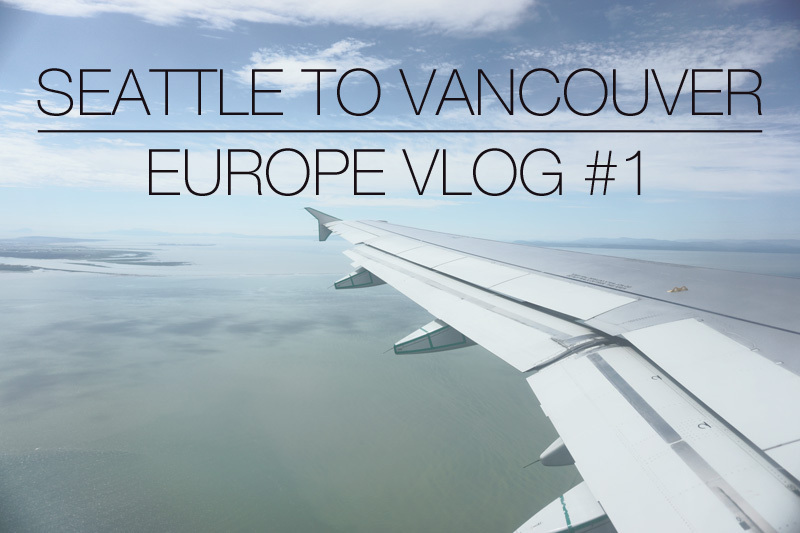 So this vlog isn’t the most thrilling part of our trip, as this covers our first “travel day” on the train to Canada. We flew out of Vancouver, BC because 1. Dave’s company chose it, and 2. because it was much, much cheaper. Note to all of my fellow semi-close-to-the-border-residents as I’ve heard this is true elsewhere in the Midwest and East Coast too! I can’t remember if I mentioned this, but we actually went on this particular trip because Dave had the opportunity to attend a 2-day conference through work. They covered his airfare and conference ticket, and we were responsible for mine and our stay/food. It made for a much more affordable trip, but it’s definitely different than traveling by ourselves! Okay, okay, enough blabbering. Here’s the video. Unfortunately, I don’t have photos to go with this leg of the trip, but I’ll be sharing photos and videos with upcoming travel posts. I did my best to keep the video short & sweet and will continue to do that… unless for some reason you just want one big video. In which case, please let me know and I’ll do my best. ;) Enjoy! What has been your best trip ever? I’d love to hear about some of your favorite destinations! You’re adorable. And I love the traveling hat. Aw, thanks Suki! Definitely take the train if you can – we really enjoyed the ride! I live on the Windsor, ON – Detroit, MI border and all flights for me are cheaper out of DTW. For in province I LOVE Porter – they have good seat sales and they give free booze still! Loved the VLOG, very cute, loved your snaps too. Just posted on my blog our RTW route we want to take. My Travelling hat is almost like yours. Thanks Kristin! Oh interesting! Must depend on where you fly from! Sounds like you have some amazing travel plans – I’d also love to head to Dublin and am hopeful we’ll include that in our next European trip! That’s interesting! I had no idea that some flights were cheaper out of Canada than out of the US, I’m so used to it being the other way around! Was it just because of the exchange rate that the flight was cheaper? Nope – it was close to 50% less flying from Vancouver. Not sure if it was the dates (being so close to the 4th of July in the States) or what, but we’ll definitely be checking it in the future since it’s not a far ride or drive. I love that you made vlogs for your trip! Also, what did you use to record all your footage with? Your DSLR? The picture is so crisp! Thanks Chelsie! I bought a new camera before the trip for it. I ended up buying the Sony a5100!